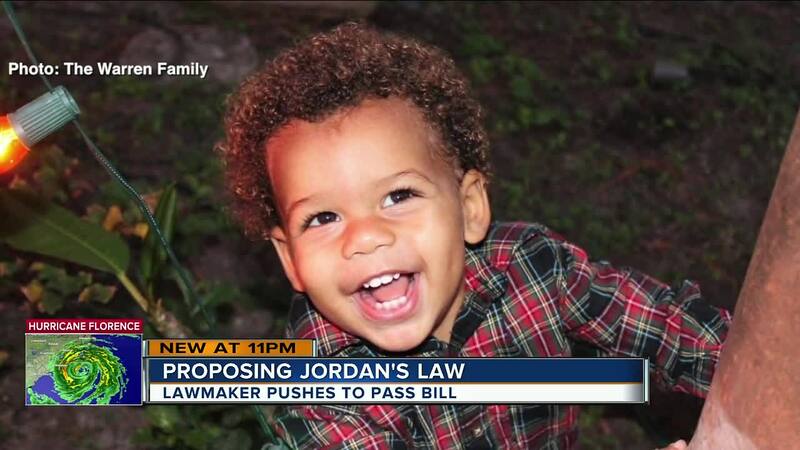 A Bay Area lawmaker says he plans to file 'Jordan's Law' during the 2019 Florida Legislative Session after the murder of a 2-year-old Largo boy. 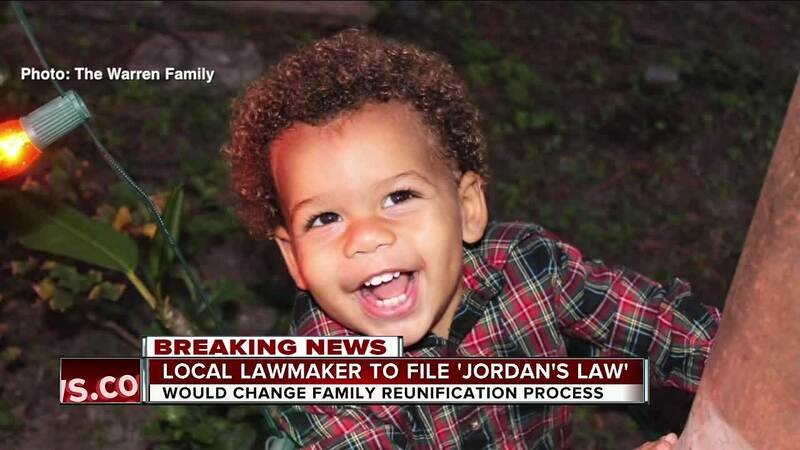 LARGO, Fla. — A Bay Area lawmaker says he plans to file 'Jordan's Law' during the 2019 Florida Legislative Session after the murder of a 2-year-old Largo boy. Authorities say Jordan Belliveau's mother, 21-year-old Charisse Stinson, killed him. Jordan had been placed with a foster family in January 2017 and lived with them for a majority of his life. However, Stinson regained custody of Jordan four months before his death, despite several child protection agencies investigating her at the time. Since his death, community members have pushed for changes in the laws surrounding the family reunification process. On Thursday, Florida House member Chris Latvala, who represents the 67th District, including Clearwater and Largo in northern Pinellas County, says he plans to file a bill in Jordan's honor. "Jordan was one of my constituents. Jordan's biological mother is in jail accused of his murder," Latvala said in a Facebook post. "Next Session I plan to file Jordan's Law in his honor." The goal of the bill is to ask child protective agencies to reform their procedures and guidelines regarding children being returned to dangerous homes. Latvala tells ABC Action News that he believes there is a need for more caseworkers in the state and hopes the agencies will add ways for families to intervene if a child should not be in a home, that doesn't involve publicly addressing the court. The current process allows families to send tips to child protective agencies, stressing the need for an investigation. This can be done without the parent of the child knowing who sent the tip about them. However, if no family members speak up in court, the child is more likely to be returned to that biological parent. This is often difficult for people because they are hesitant to express their concern in front of the parent or family member in question. Latvala is still working on ideas for the bill, but hopes that by adding ways for families to intervene, they will be more empowered to take the steps needed to protect the child.